In the list of upcoming IPO Ganga Forging Limited is planning to launch IPO (Initial Public offering). The upcoming IPO is an SME IPO. The tentative size of the upcoming IPO i.e Ganga Forging (GFL) IPO is Rs 5 crore. Ganga Forging (GFL) IPO is of Fixed Price Issue IPO. The issue will open on 29 June, 2018. Ganga Forging (GFL) IPO might open on 29 June & close on 3 July, 2018. Ganga Forging (GFL) IPO is of Fixed Price Issue SME IPO. Ganga Forging (GFL) IPO is of Rs 5 Crore. Ganga Forging Limited manufactures forging parts in India. The Company was incorporated as Private limited Company on 29 December, 1988 under the Provisions of Companies Act,1956. At the time of incorporation the name of the company was” “Ganga Forgoing Private Limited” . It is a Ahmedabad based Company. Later on the company was converted into Public limited Company on 5 Oct, 2017. As a result the name of the company was also changed to “Ganga Forging Limited”. 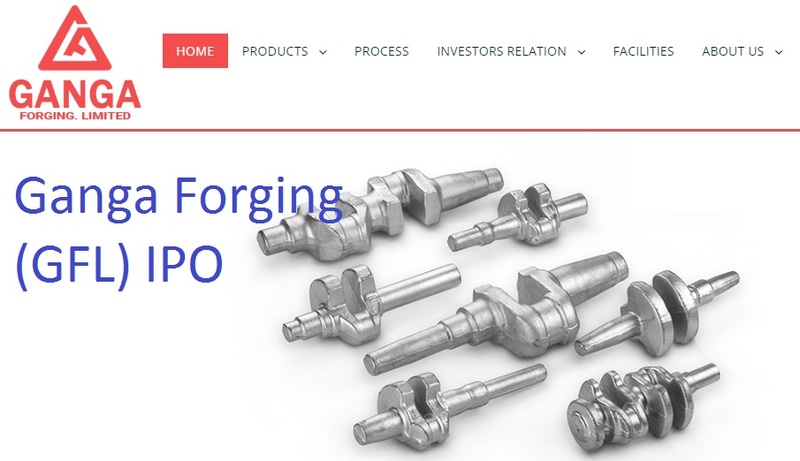 Ganga Forging Limited products include crankshafts, connecting rods, yokes, gears, spiders/crosses, flanges, shafts, socket clevis fasteners, and anchor shackles. Ganga Forging Limited serves automotive, locomotive, agriculture, transmission, and other industries. The automotive segment includes manufacturing of products catering to the commercial vehicle, passenger car, three wheeler, two wheeler, and tractor. The non-automotive segment includes electric power transmission, dairy equipment manufacturing, agricultural, gear and gearbox, crankshafts, connecting road, heavy engineering industries, hubs, and flanges. With a presence in most of the allied products in this industry, the Company caters to wide range of customers. Ganga Forging Limited is having 68 permanent employees on its payroll. There are two objective of the Ganga Forging (GFL) IPO. They are listed below.